John Stones has handed a transfer request to Everton with a view to forcing his move away from the club. The England international has been subject of two confirmed but rejected bids of £20m and £26m, with another £30m reported to have been tabled by suitors Chelsea. John Stones Joined Everton from Barnsley in January 2013. Image: Getty. 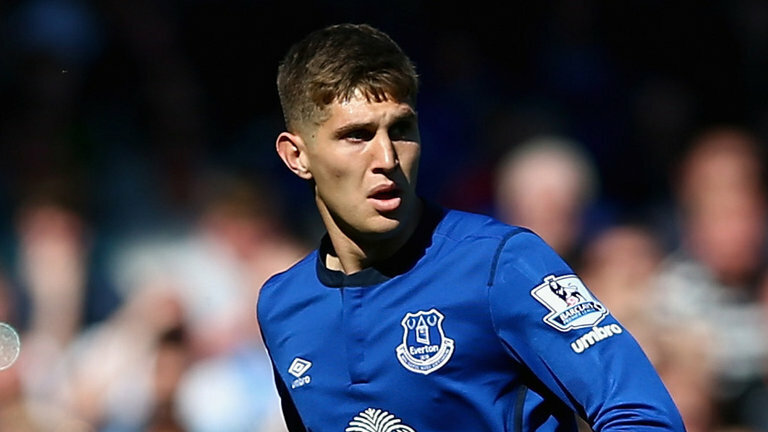 Stones joined Everton from Barnsley for £3m in January 2013 – 13 months after his debut for the latter club. Ironically, Everton face a trip to Barnsley on Wednesday night in a League Cup second round fixture, while Chelsea’s next away game is at Goodison Park on Saturday, 12 September, in the Premier League. “The only thing that matter now are the games and to prepare for them, starting with Barnsley,” said Martinez. Stone’s who made his England debut last year is expected to be named in coach Roy Hodgson’s squad for next month’s Euro 2016 qualifiers against San Marino and Switzerland. He has made 47 appearances for the Merseyside outfit and signed a new five-year contract worth around £30,000-a-week last summer. The Toffees have long been linked with a move for Manchester United defender Jonny Evans – though denied by Martinez.